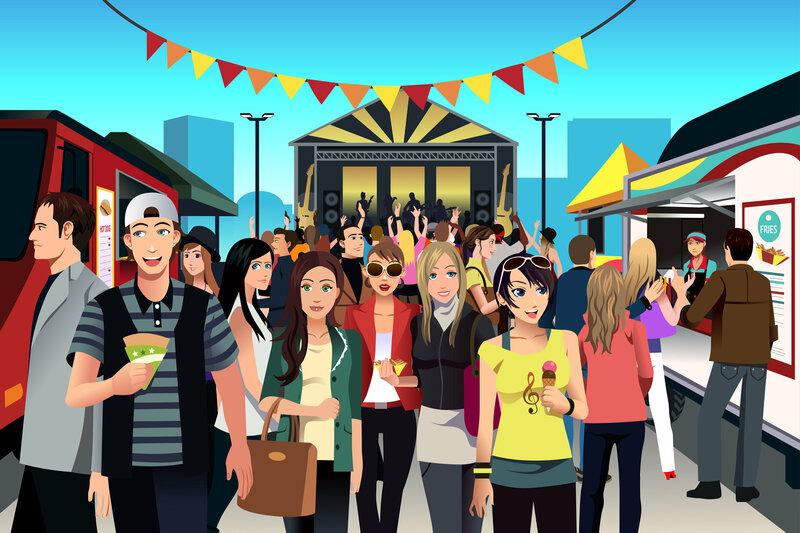 A recent study shows that one in five millennials will attend a cultural, music or other festival this year; for marketers this presents a great opportunity to reach and engage this youthful demographic. The North American study conducted by Eventbrite the online ticketing website, looks at ticketing and social habits of festival and event attendees, and it shows on average one in ten people will attend a festival per year. When you look at the 17 to 34 year olds, this number doubles. In addition, the research shows that millennials are responsible for 75 per cent of the social media conversation surrounding a festival. Taste of the Danforth (Toronto’s largest food festival), has been promoting Greek culture for the past 21 years. Since its inception in 1994 the festival has grown from 5,000 attendees to more than 1.6 million last year. The event attracts food, travel and lifestyle sponsors, all looking to build awareness in a welcoming environment. Krinos Foods, purveyor of many Greek food products is the perfect title sponsor and a range of travel companies use their relationship with the festival to promote Greece and other vacation destinations. Festival organizers cleverly integrate social media promotion to add value for sponsors with #Taste2014 and #TasteoftheDanforth both trending on Twitter throughout the three-day event. Attendees are encouraged to share festival information and participate in social media competitions to give sponsors more exposure and boost engagement. But getting social media wrong can be catastrophic for a festival as witnessed earlier this year by Toronto’s Mac and Cheese festival. Organizers didn’t anticipate the event would go viral and attract more than 46,000 visitors. They ran out of food; festival attendees trashed the Liberty Village neighbourhood and Facebook, Twitter and Instagram filled up with negative, derogatory and critical comments. No brand wants to be aligned with such negativity. Smart sponsorship takes strategic planning and careful management. Contact Thornley Fallis to find out more about sponsorship and events for the connected age.